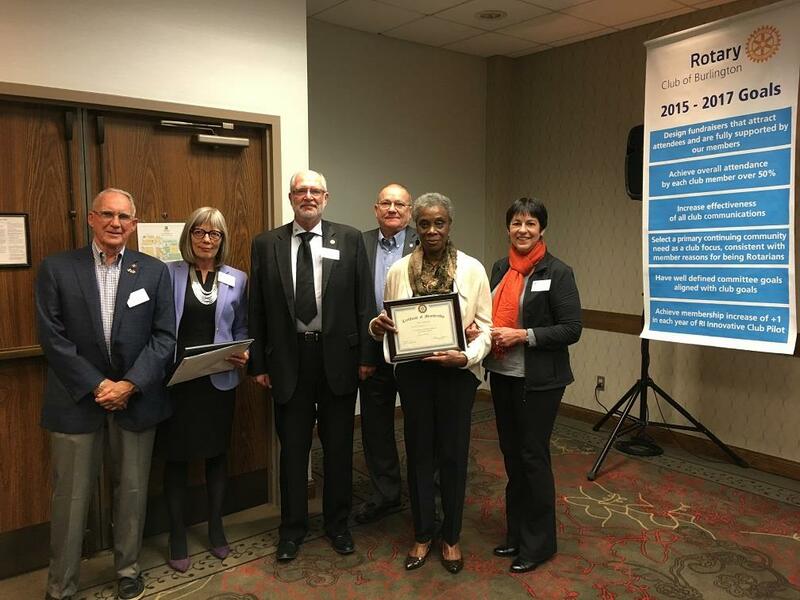 Rotary Inducts New Members - On Wednesday October 11th, the Rotary Club of Burlington, was proud to induct two new fantastic members into our club; Yvonne Griggs (second from left) and Marva Worrel (second from right). Both Yvonne and Marva have already made contributions to the club and are welcome editions. With them (from left to right) are Norm Burrows, Rob Wheeler, John Zinke and Dianne Adams.